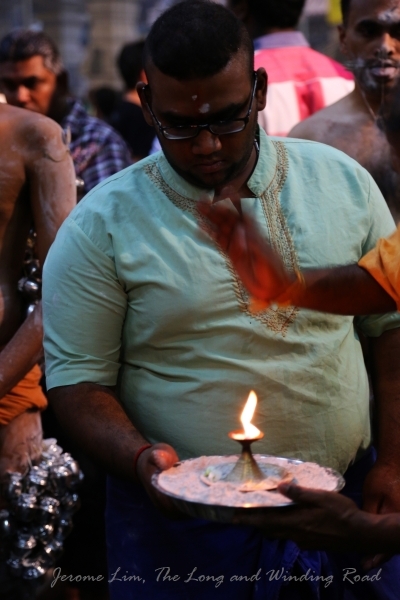 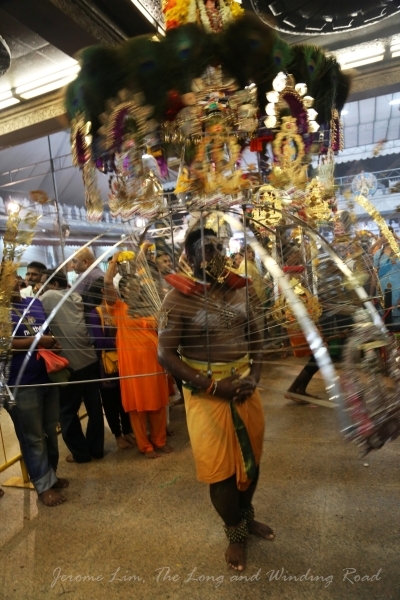 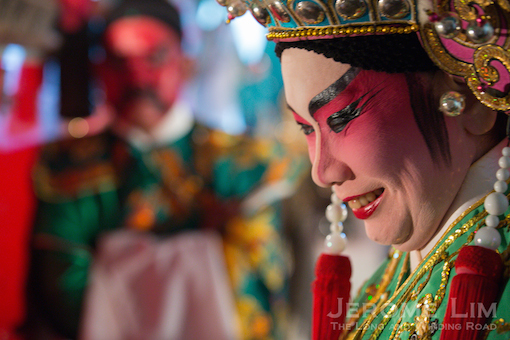 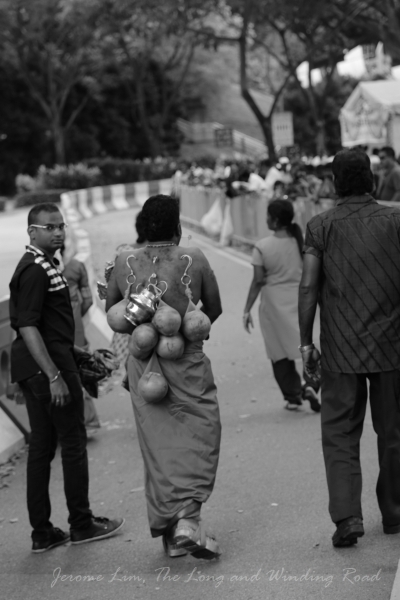 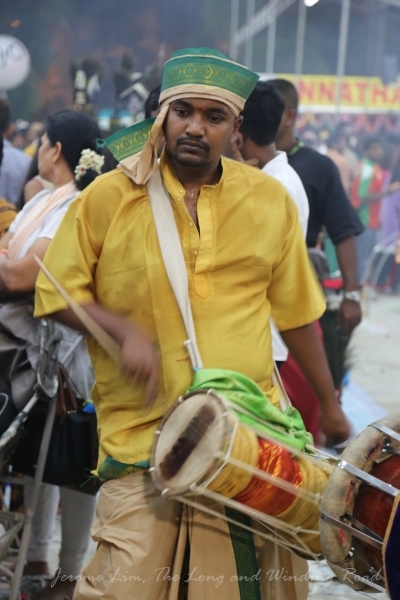 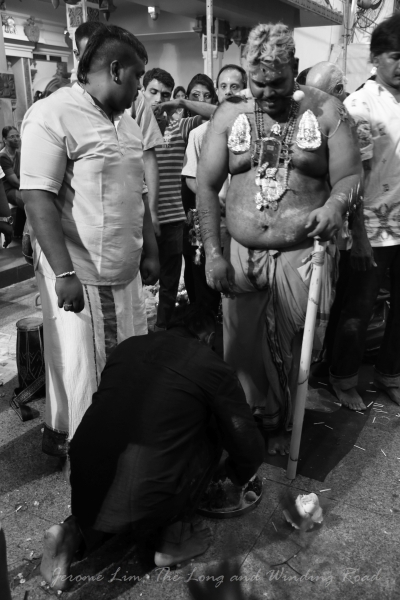 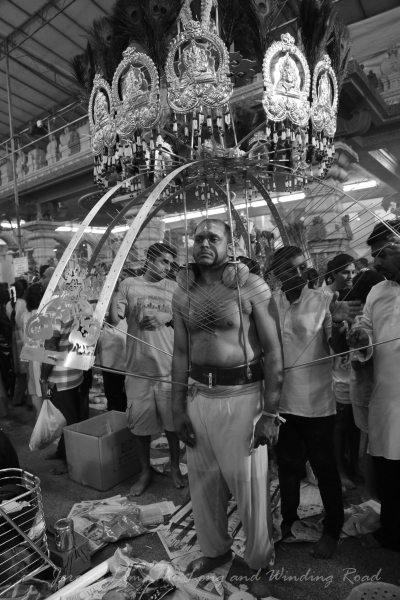 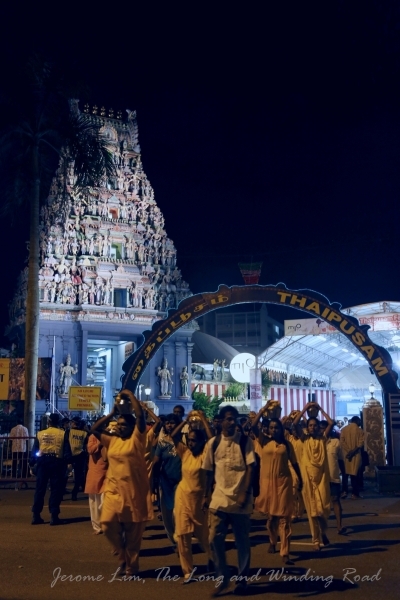 Thaipusam is perhaps the most colourful of the religious and cultural traditions brought in by the early immigrants to modern Singapore that is today celebrated on the streets of Singapore. 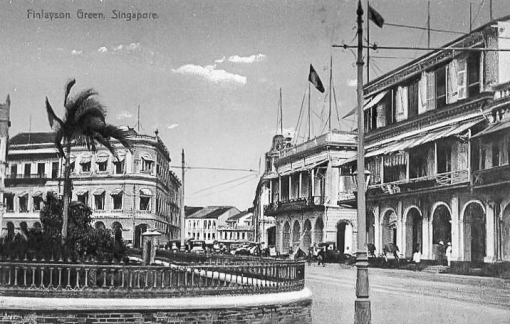 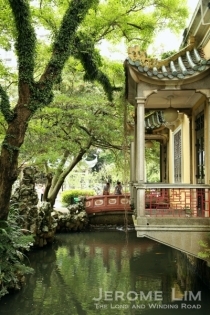 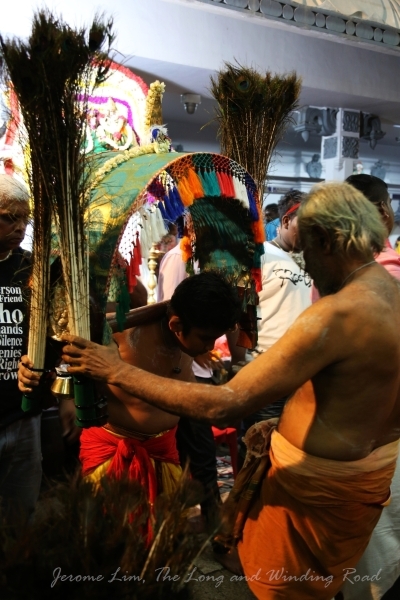 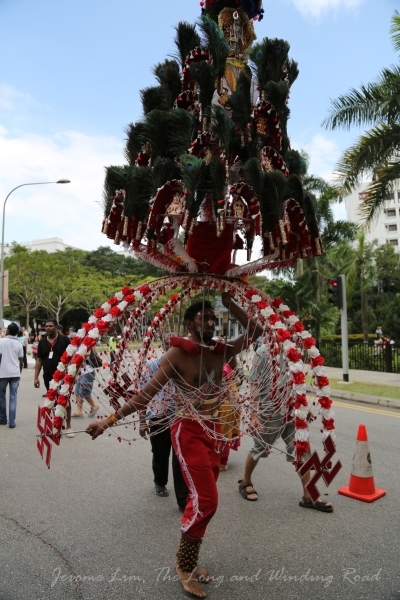 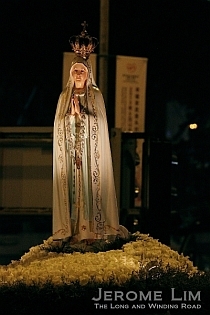 Celebrated by Tamils from southern India during the full moon of the Tamil month of Thai, the festival in Singapore is notable for the 4 kilometre procession over which devotees carry a “burden”, in the form of a kavadi. 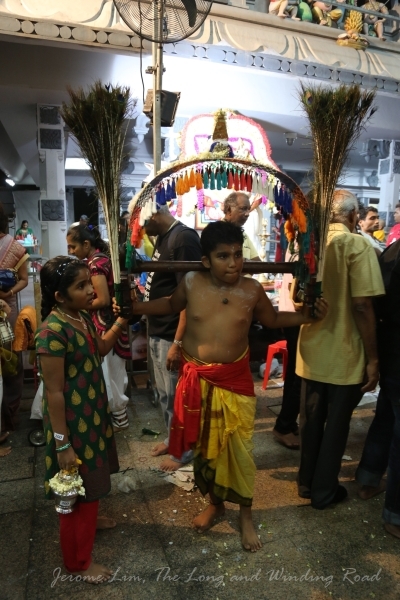 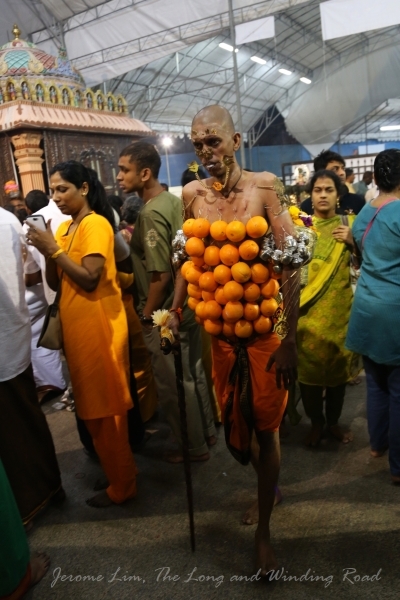 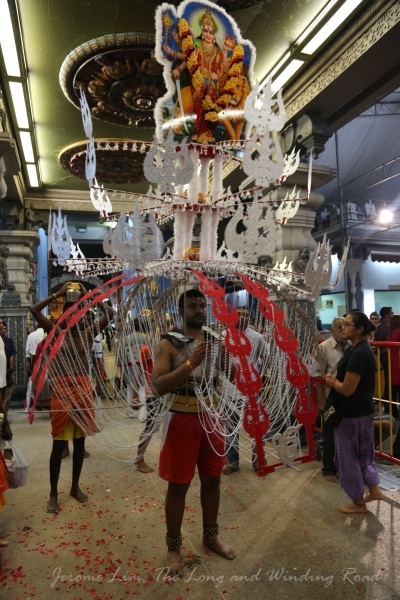 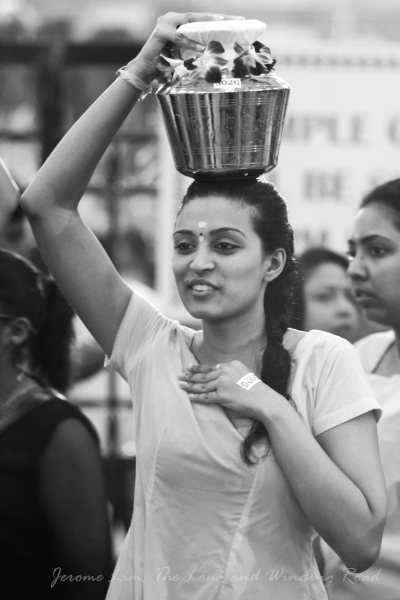 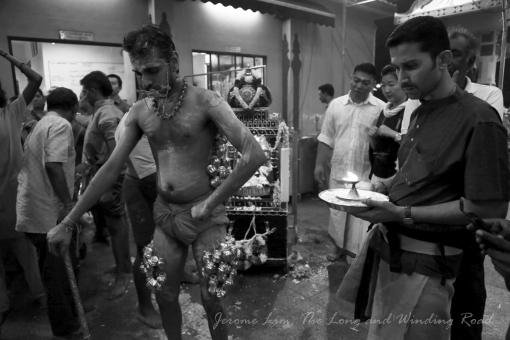 The procession which starts from the Sri Srinivasa Perumal Temple along Serangoon Road and ends at the Sri Thendayuthapani Temple (Chettairs’ Temple) at Tank Road sees hundreds of devotees every year making their way along the route carrying kavadis which range from milk pots placed on their heads to more elaborate kavadis such as spike kavadis and chariot kavadis. 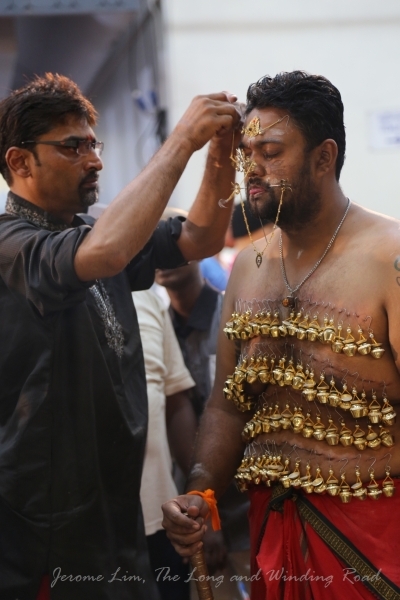 The spike (or “vel”) kavadis is perhaps the most elaborate and involves the piercing of up to 108 spikes onto the body. 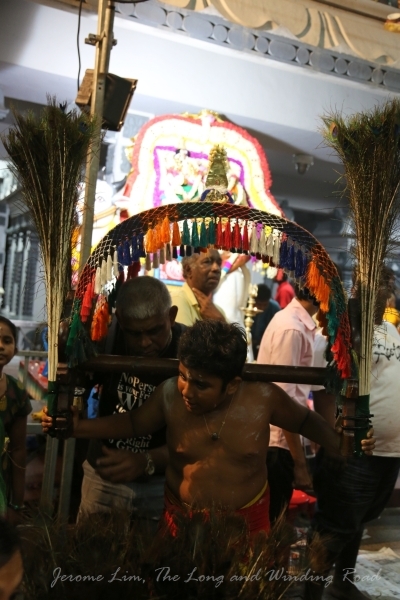 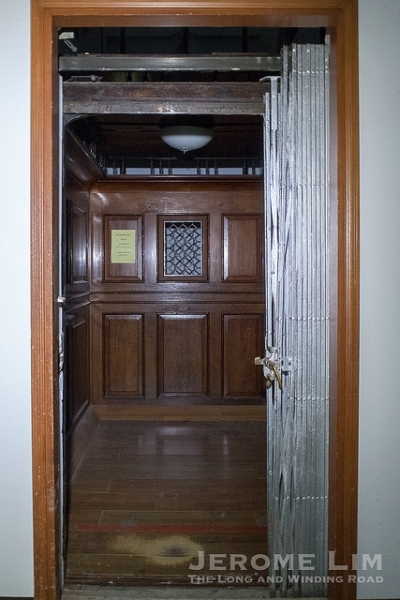 The chariot kavadis involves the attachment of hooks to the backs of bearers which is attached to ropes pulling a chariot. 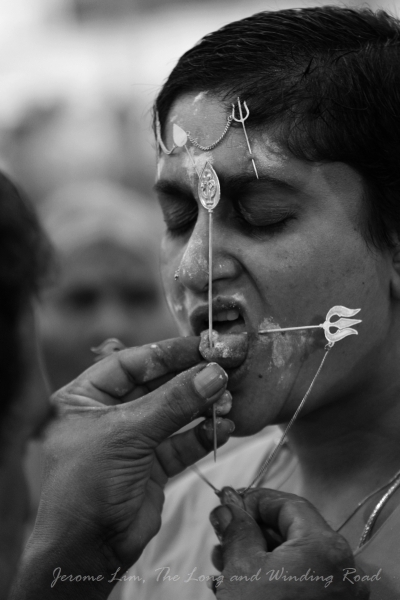 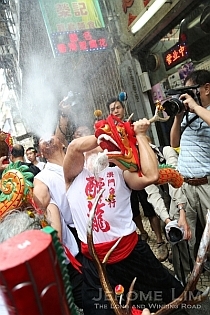 Devotees often also have other piercings carried out including with skewers through the tongue and cheeks with holy ash applied to the area before hand. 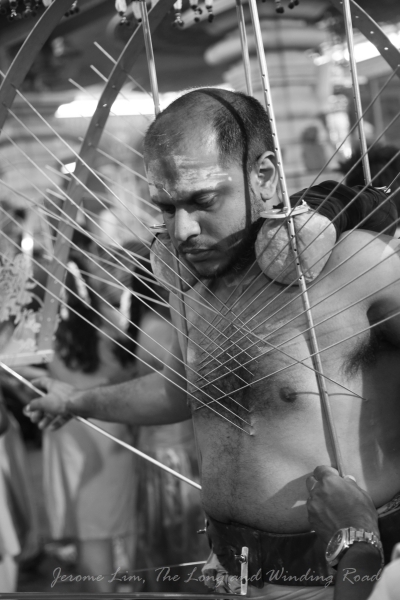 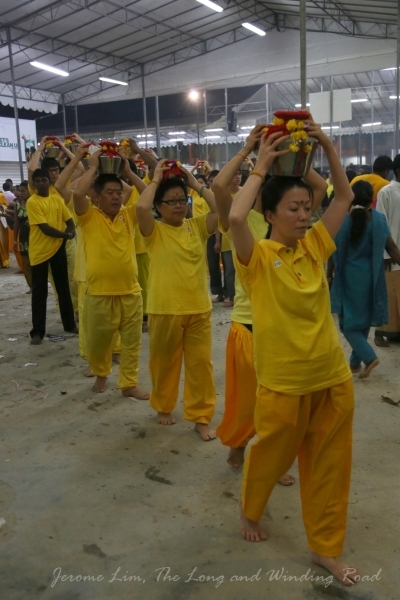 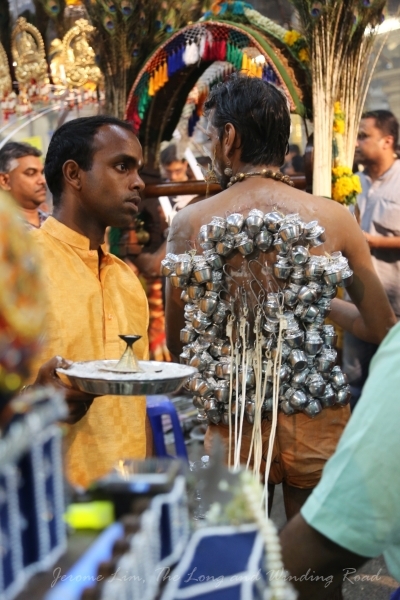 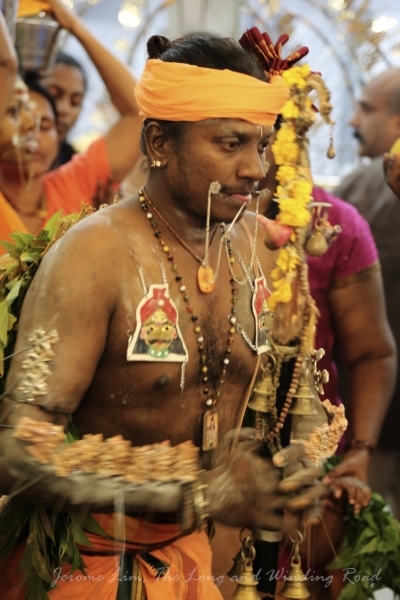 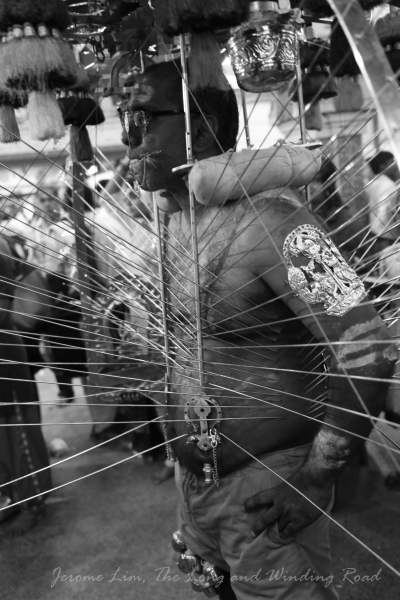 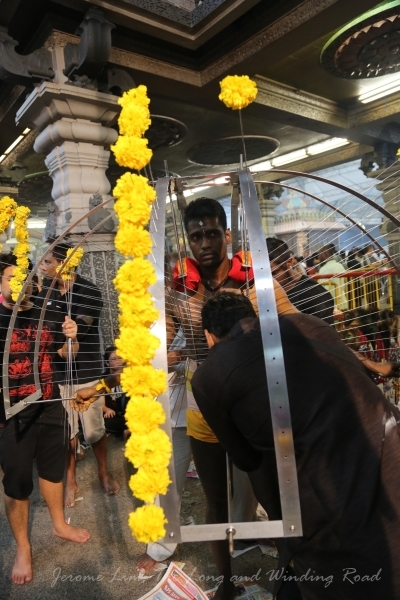 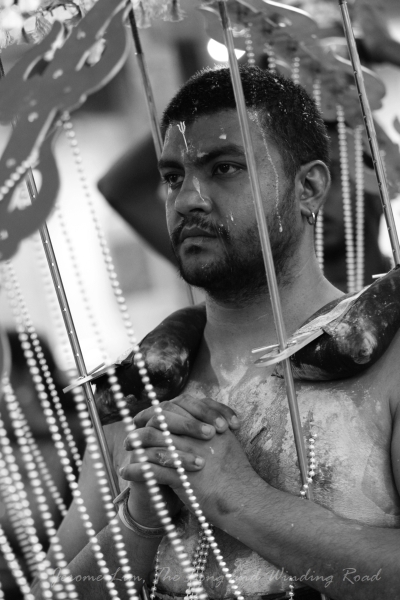 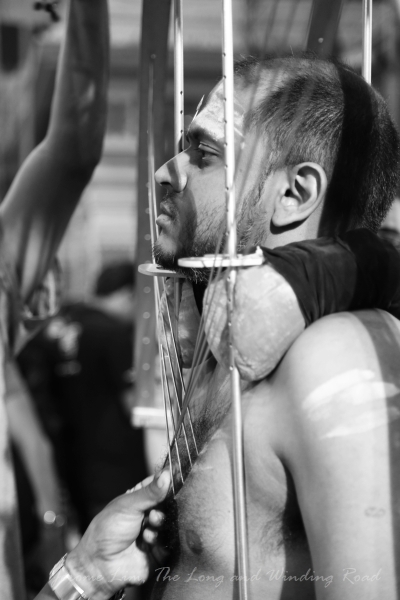 The piercings are said to inflict no pain as well as leave no scars (no blood is spilled as well) – devotees go through a 48 day spiritual cleansing prior to Thaipusam – which involves a strict regime of fasting, abstinence, and prayer. 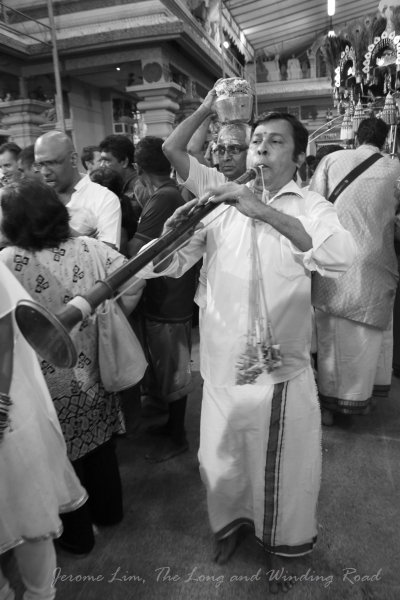 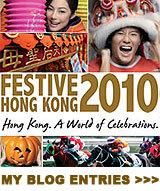 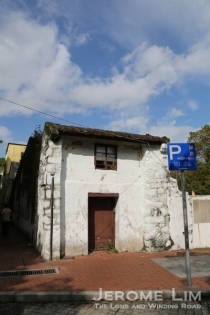 More information on the festival can be found at the Sri Thendayuthapani Temple’s website. 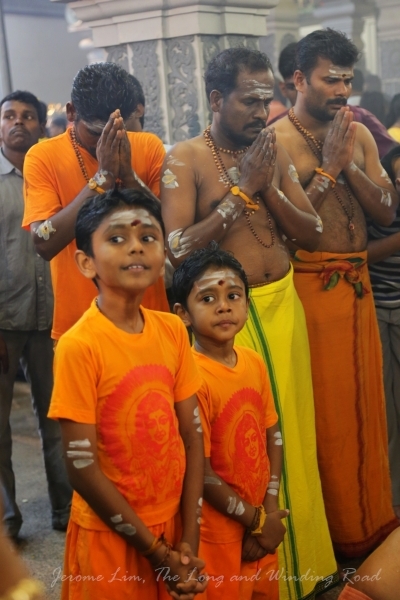 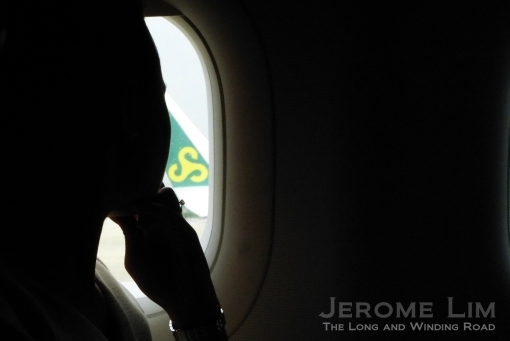 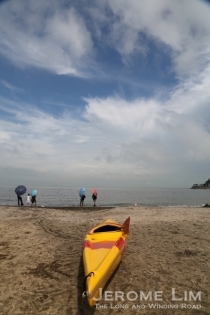 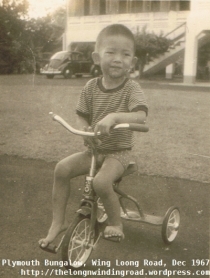 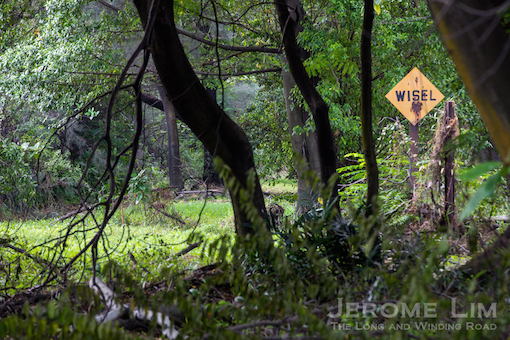 Nice post, it reflects the multi-cultural aspect of our nation.